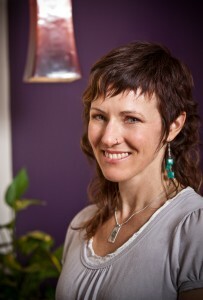 Karen has been a Registered Massage Therapist in BC since 2008, and opened Bodylogic Therapeutic Massage in June 2011. Karen practices a wide variety of techniques, but leans towards myofascial/deep tissue work where she combines anatomical knowledge with intuitive touch and respect for clients’ different comfort thresholds, to offer treatments with lasting effect. She is expanding her use of alternative modalities such as cranio-sacral therapy to address a broad range of dysfunction with treatments tailored to each client. Karen is motivated to help you resolve chronic pain issues as well as manage acute and sub-acute injuries to encourage the best possible healing outcome. When not at work, Karen is out enjoying the mountains and people of Revelstoke, skiing, snowboarding, climbing, and hiking. View Karen’s schedule and book online here! The type of massage that most commonly springs to mind when people think of “massage”. A variety of strokes are used to increase circulation and decrease tension in muscles, leading to lowered pain thresholds and restored balance of muscle length and tension. We often use Swedish massage techniques at some point during a therapeutic massage to help flush out tissues as well as aid relaxation. A manual therapy technique that is utilized to help relieve pain and tension that is due to injury or stress. It involves releasing and unwinding the fascia (connective tissue) that surrounds each muscle and interconnects all of the other internal parts of the body. Long, lengthening strokes are utilized to release muscular tension, as well as cross-fibre techniques to release adhesions. Muscle energy is a direct, non-invasive manual therapy used to normalize joint dysfunction and increase range of motion. The practitioner evaluates the primary areas of dysfunction in order to place the affected joints in precise positions that enable the client to perform gentle isometric contractions. These directed movements help correct neuromuscular and joint difficulties. The visceral organs are dependent on their ability to move freely in the abdominal cavity to function correctly and efficiently. When they are pulled out of their effective positions, they cease to function properly. Visceral manipulation addresses the mobility and tissue motion of the organs of the visceral system; by freeing each organ to work compatibly with the others, a therapist can potentially alter and improve the structure and functioning of the entire body. The cranio-sacral system consists of the membranes and cerebrospinal fluid that surround and protect the brain and spinal cord. It extends from the bones of the skull to the sacrum or tailbone. This system influences the development and function of the brain and spinal cord; imbalance or dysfunction in the cranio-sacral system could cause sensory, motor, or neurological disabilities. Using a light touch to assess and release restrictions and assist the natural movement of fluid within the cranio-sacral system, this modality encourages the body’s natural healing mechanisms to improve the functioning of the central nervous system, dissipate the negative effects of stress, and enhance health and resistance to disease. Neuromuscular Therapy uses static pressure on specific myofascial or trigger points to relieve pain. This technique manipulates the soft tissue of the body (muscles, tendons, ligaments, skin and fascia) to balance the muscular system with the nervous system. In healthy individuals, nerves slowly transmit impulses which are responsible for every movement, function and thought within the body; When our bodies are subject to trauma, such as an accident, injury, prolonged stress or postural distortions, the nerves begin to fire more rapidly. Neuromuscular therapy is beneficial in re-stabilizing neurological activity between the muscular and nervous system, which is necessary to maintain normal function and overall health of our body. This non-invasive treatment helps decrease protective muscle spasms and alleviates somatic dysfunction in the musculoskeletal system. Using palpation and passive positional procedures, the therapist practicing strain/counterstrain therapy can help restore pain-free movement. The position that relieves the referred pain is held for ninety seconds. After resuming the original position and pressing the trigger point, the referred pain is gone. Prenatal- specific techniques can reduce pregnancy discomforts and enhance the physiological and emotional well-being of both mother and fetus. In the postpartum period, specialized techniques rebalance structure, physiology, and emotions of the new mother and may help her to bond with and care for her infant. RMT’s receive advanced training in the anatomy, physiology, complications, precautions, and contraindications surrounding pregnancy massage, and we use the Body Pillow system that allows pregnant clients to lie comfortably and safely in a prone position on the table well into their pregnancy.